Every month, JACK has exciting new ways to win more every time you play! WIN $500 CASH EVERY 15 MINUTES! Over 130 lucky winners will walk away with $500 cash GUARANTEED! IF THE WINNER IS NOT PRESENT, THE MONEY ROLLS OVER TO THE NEXT WINNER! Visit ClubJACK for more details. Prime Players this day is for you! 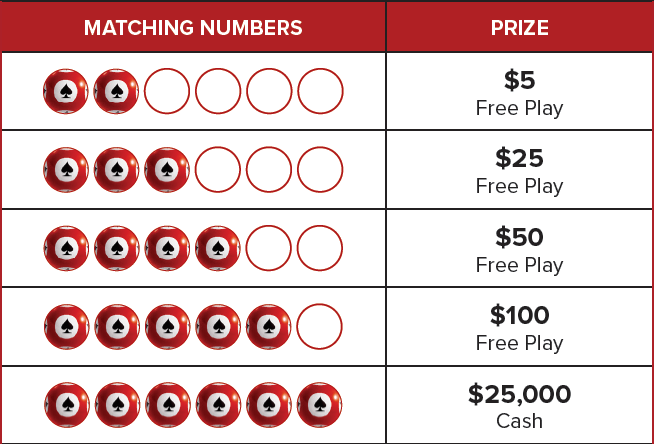 Match your numbers to those drawn to win Free Play! Present your military or first responder ID!